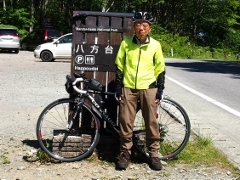 Today was the Tour de Inawashiro day. 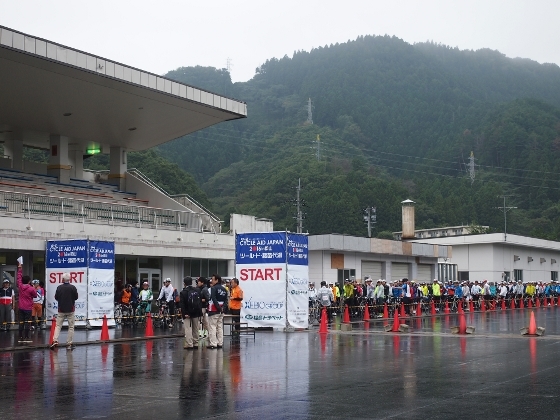 Look at the huge line of participants shown above waiting to get started, even though it was a rainy day. 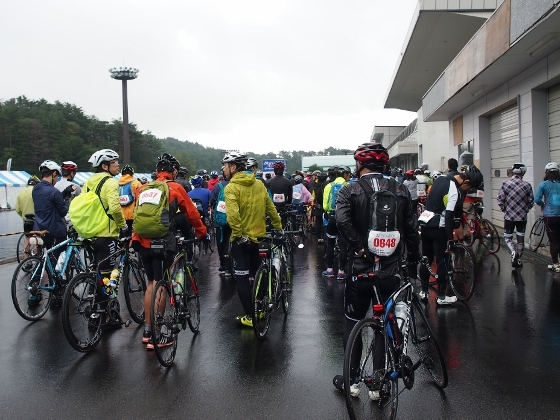 This was the third year of the cycling event, supported by Koriyama City. 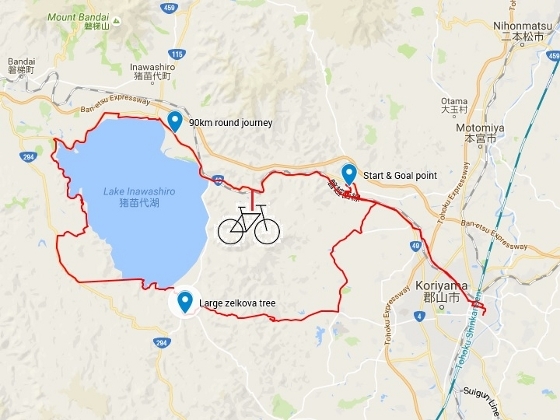 It starts from Bandai-Atami hot spring resort in the city, travels around Lake Inawashiro, and then finally comes back to the same point, where the distance is about 90km. A short footage of how it starts is shown below. I also participated in the event, and this was how it looked from behind the line. 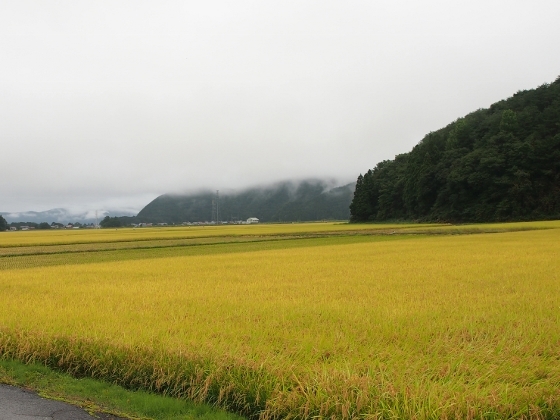 Early this morning, I pedaled from my home near Koriyama Station. I started around 9:12 and came back shortly before 15:00, then I hurried to my home before it gets dark. Total distance today was 126km including travel to and from my home. It rained heavily after we passed Noguchi Memorial Hall, all the way through the western shore of the lake. Everyone got soaked from top to bottom, even though we had rain suits on. 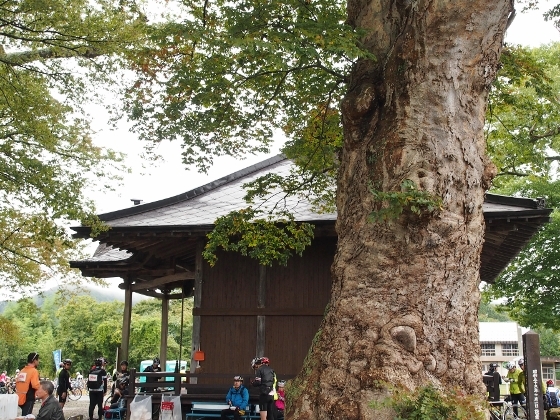 Photo above is a large zelkova tree at Tokoji Temple, where we stopped at for a short break. Local Konanmachi volunteers served us a delicious soba noodle bowl. Soba noodle is a great specialty of this town. 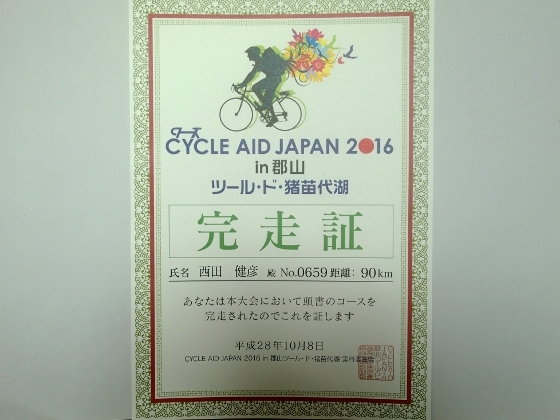 Photo above is a certificate of finish which the organizer gave me. This time, support from staff members of the organizing committee was excellent. I would like to express my gratitude for all the supporters and volunteers. The exact route and locations are shown in the map below. The map can be scaled up and down with a click and scroll. A part of GPS trace is missing.